Flower arrangement is the art of displaying cut flowers, and there are various forms all over the world. In Japan, this practice is called Kado, or Ikebana. In other cultures, floral arrangements place heavy emphasis on the flowers and the overall color scheme of the arrangement. In Japan, Kado and Ikebana place less emphasis on the flowers, and instead use the flowers as a tool to express a larger theme. This is a peculiar style that has been gathering interest from foreign countries. 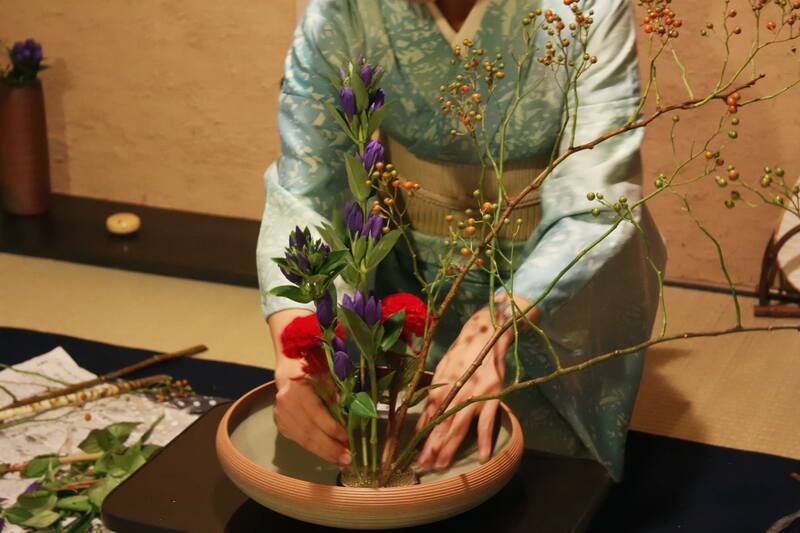 Ikebana and Kado started around the time Buddhism traveled to Japan, around the 6th century. In India, flowers were scattered before the Buddha, while in Japan the flowers were collected in a vase. This is the beginning of Japanese “Ikebana” / “Kado”. A characteristic of Japanese “Ikebana” / “Kado” is an emphasis on shapes and lines, as well as the manner in which the flower is placed into the dish. At the very heart of this composition is an asymmetric shape and usage of empty space. The container, types of flowers, spacing of the flowers – all elements must have harmony and balance. 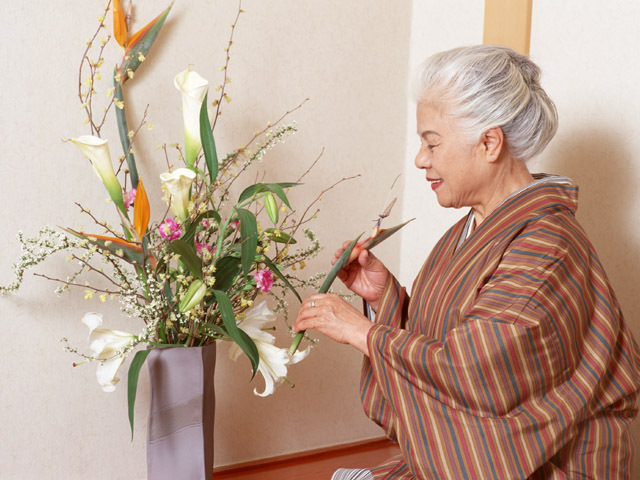 Ikebana is also a state of mind: the arrangement is usually conducted in a quiet space. In this space, the artist gives thanks to all aspects of life and uses the moment to appreciate a modest way of life. Japanese “Ikebana” “Kado” has a wide style from a classic thing to a modern thing. How to handle flower is decided in each school. There is “Rikka,” “Ikebana,” “Moribana,” “Jiyu-ka” mainly. Put up a flower…Make much of scenery…The calculation method of the angle… There are various rules. And there are “Ikebana school” and “the Kado school” of hundreds of types. Here, I can acquire the qualifications such as an instructor level or the expert level. “Ikebana” “Kado” is simple work to give glory to floral art. However, I express “scenery” “states of affairs” skillfully. I may say the culture to understand the delicacy of the Japanese heart well. A Japanese “heart to love beautiful things” was expressed; is deep.